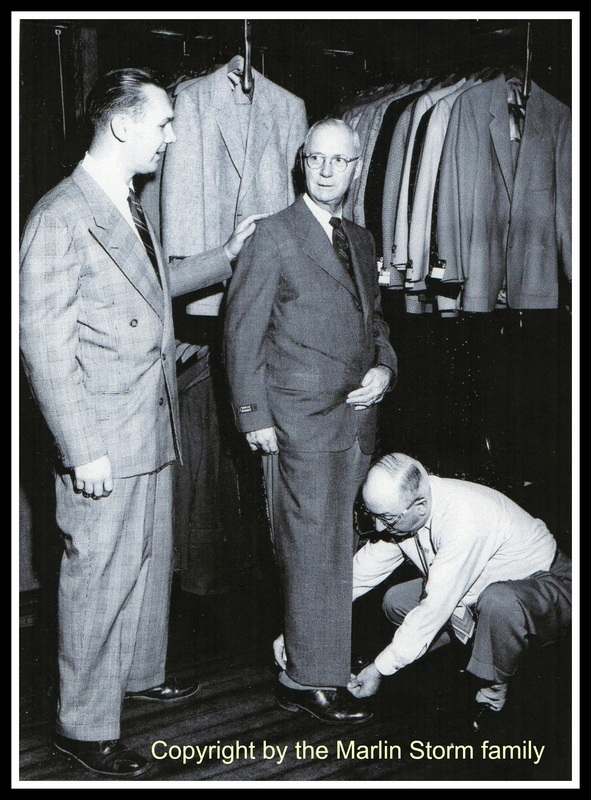 Grand opening of Storm's Mens Store, September 1953. 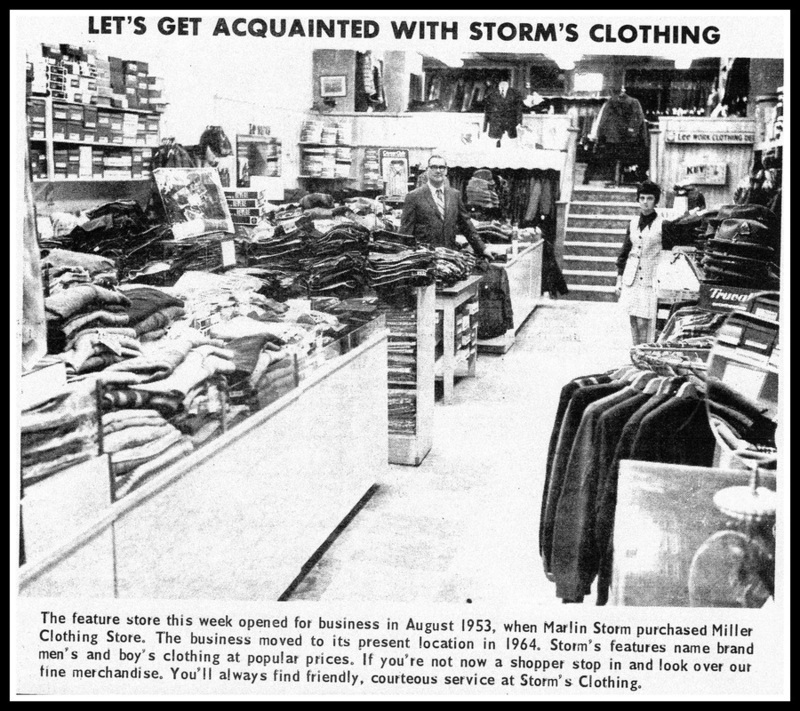 Marlin Storm operated the store from 1953 to 1974. 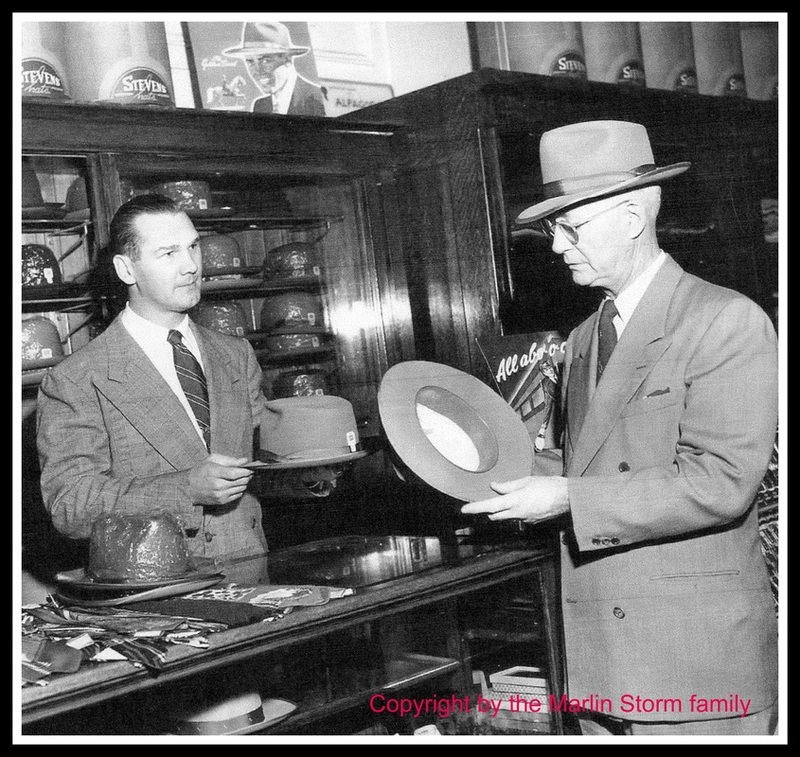 Bob Storm, Marlin's son, succeeded his father as owner and proprietor of the store until he sold the business in 1991. From left to right: Marlin Storm, a visiting suit salesman, and Choppy Nickels. 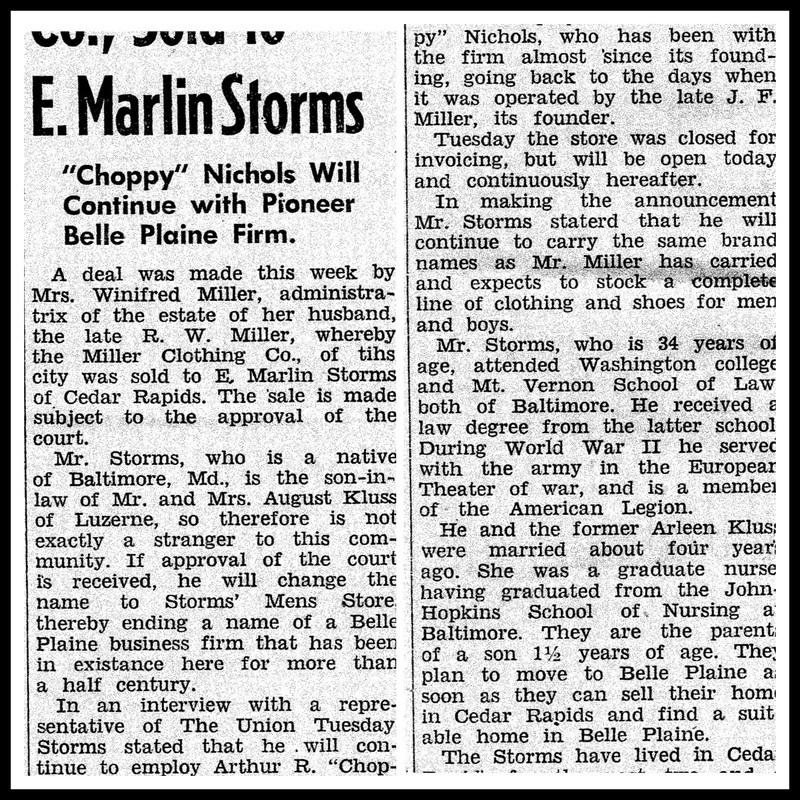 Choppy Nickels was a tailor who worked first for the Miller Clothing Co. and then for Storm's. Ad for Marlin Storm's purchase of Miller Clothing Co. Newspaper article gives the Storms' background. Marlin was a native of Baltimore, MD, who served in WWII and later earned a law degree. His wife, Arlene Kluss Storm, was a graduate of John Hopkins School of Nursing. The article mentions their one-and-a-half-year-old son Bob, who would eventually take over the business. 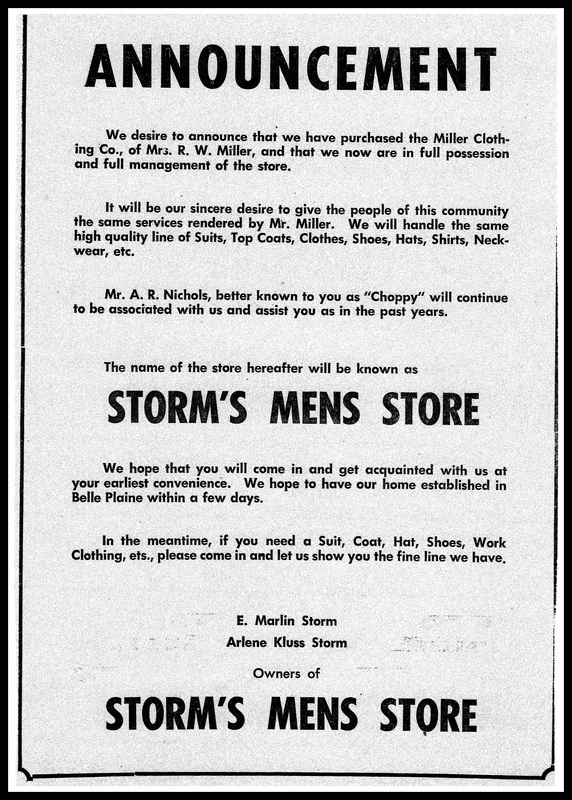 A 1960's Belle Plaine Union clipping that features Storm's Men Store. Storm's was originally on the north side of Main Street and moved to the south side in 1964, where it remained until it closed.